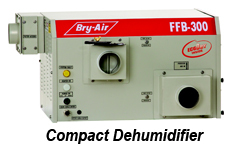 Bry-Air, the leading manufacturers of Dehumidifiers, is participating in India International Leather Fair 2011. The exhibition was held at Pragati Maidan from July 28-30, 2011 in Hall 18. Bry-Air was present at 18L- 26(A). Bry-Air, the leaders in Moisture and Humidity Control, announced its participation in the first edition of India International Leather Fair 2011, New Delhi. Come and discuss the solutions for humidity control for your leather goods with our Airgineers. Leather is highly hygroscopic and tends to absorb moisture from the surrounding air during processing of leather hides or while in storage. The excess moisture absorbed by leather results in increased microbial activity. Microbial activity is enhanced manifold when relative humidity exceeds 40% in storage or packaging area. 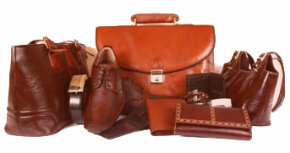 Leather industry has witnessed a sharp rise in recent years and now holds a crucial position in Indian economy. The growth potential of this sector is huge. The industry according to the experts can grow bigger and achieve much more than the targeted export turnover of nearly US $7 billion by 2010. Bry-Air Airgineers will be available for a free consultancy to all at Stall A(18L-26). Bry-Air is a global player in Desiccant Drying with 1200 employees in 7 continents and 7 manufacturing plants in India, China, Malaysia, Germany, Switzerland, USA & Brazil. Bry-Air (Asia) has representative offices in Middle East, South Africa, Philippines, Thailand, Italy, Korea, Japan and Australia. The company’s range of products find application globally across 40 countries including South East-Asia, China, CIS countries, Indian subcontinent, West Asia, Middle East and Africa including South Africa and Australia as well as USA and Japan. Nearly 50 years of experience in Humidity and Moisture control, Bry-Air offers moisture control solutions for a wide array of applications. Bry-Air is a global solution provider for complete environmental control with a specialization in humidity control, drying, storage, preservation, air and gas purification and resin drying and conveying, supported by state of the art facilities, worldwide operations and customers in almost every industry. It specializes in designing and manufacturing the desiccant based engineered dehumidification systems capable of handling applications such as Leather storage, packaging and shipping, Cold Stores, Chemical Storage, Engineering goods storage, Electronics & Semi-conductors storages, Processed food storage, Meat Poultry & Seafood storages, Automobile component storage, Electrode storages and hundreds of other item storage where humidity control is essential to manage. Bry-Air has always been in the forefront of technology and innovation through extensive R&D in moisture control, air treatment and optimization of energy.